Dr. Kevin Shelton is originally from Newburgh, IN. Upon graduating from dental school Dr. Shelton entered the United States Air Force. He then completed an Advanced Education in General Dentistry residency at Scott AFB, IL. After active duty service Dr. Shelton entered private practice in the local community. Dr. Shelton is committed to providing the highest quality dental care in the most gentle and caring manner possible. He is always striving to improve patient care by attending post-graduate continuing education in all aspects of general dentistry and cosmetic dentistry. Kevin is married to his college sweetheart, Mimi. They have two children, Mackenzie and Drew. 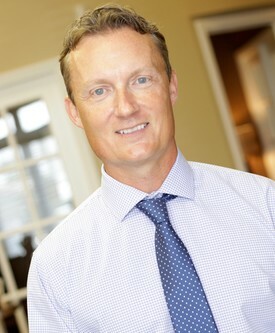 When not at work, Dr. Shelton enjoys spending time with his family, golf, tennis and running. Dr. Shelton has been involved with the Give Kids a Smile volunteer program. He also enjoys visiting area elementary schools yearly to promote National Children’s Dental Health Month. Dr. John Gallegos, a native of Albuquerque, NM grew up playing sports, as well as fishing and camping throughout Northern New Mexico. After graduating high school, he moved to the Pacific Northwest and attended the University of Washington, graduating with a B.S. in Medical Technology. Dr. Gallegos then headed to Omaha, NE where he completed his formal dental training at Creighton University School of Dentistry in 2009. At Creighton, Dr. Gallegos met his wife, Maj. Amber Miller, also a native of New Mexico and who is now the Chief of Endodontics at Scott AFB. Dr. Gallegos has been in private practice in Albuquerque, NM and San Antonio, TX while his wife served at Kirtland AFB and Lackland AFB respectively. Dr. Gallegos also serves as a Captain in the New Mexico Army National Guard. He and his wife have one son, Kylian. Dr. Gallegos also enjoys spending time with his family, golfing, fishing, and watching sports. Treating the entire family with an emphasis on preventive dentistry is Dr. Gallegos' passion. He enjoys the variety in general practice with a special interest in endodontics, oral surgery, immediate dentures, and dental implants. 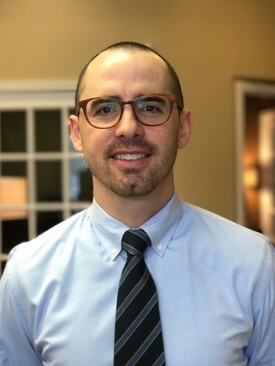 Dr. Gallegos believes in being a lifelong learner and is regularly involved in continuing education courses to enhance his skills and knowledge within dentistry. Dr. Molly Stice originally hails from Jacksonville, IL. 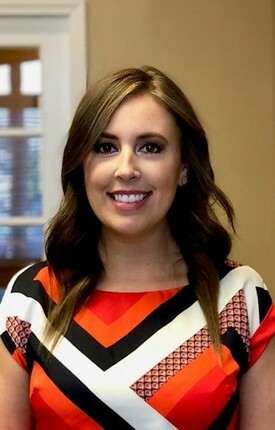 She received her Doctorate of Dental Medicine degree in 2017 from Southern Illinois University School of Dental Medicine, graduating as Valedictorian of her class and earning several prestigious awards for excellence in dentistry. In 2013, Dr. Stice graduated with a B. S. in Biological Sciences with a Chemistry minor from Southern Illinois University-Edwardsville. Most recently, Dr. Stice completed a one year Advanced Education in General Dentistry Residency at Southern Illinois University School of Dental Medicine. Dr. Stice has been involved with various community outreach programs as a volunteer dentist, along with the "Give Kids a Smile" program. In 2016, Dr. Stice went on a mission trip to Jamaica where she spent a week providing free dental care. Throughout her life, she has placed importance on community service and being an active member of the community. When she's not in the office, Dr. Stice enjoys spending time with her family and playing with her two dogs, Rylee and Mia. She also enjoys going on road trips with friends to National Parks and adventuring to other scenic areas out West. She hopes to someday road trip across the United States from the Pacific to the Atlantic. Dr. Stice's mission is to place the patient first by providing the highest quality care to people of all ages in a caring, comfortable, and pleasant atmosphere. She is an advocate for minimally invasive dentistry and enjoys helping patients improve their oral health. Dr. Stice strives to keep her skills and knowledge up-to-date through continuing education courses and dental research. Dr. Stice is a member of: American Dental Association, Illinois Dental Society, Illinois Academy of General Dentistry, Madison County Dental Society, and the Omicron Kappa Dental Honor Society.